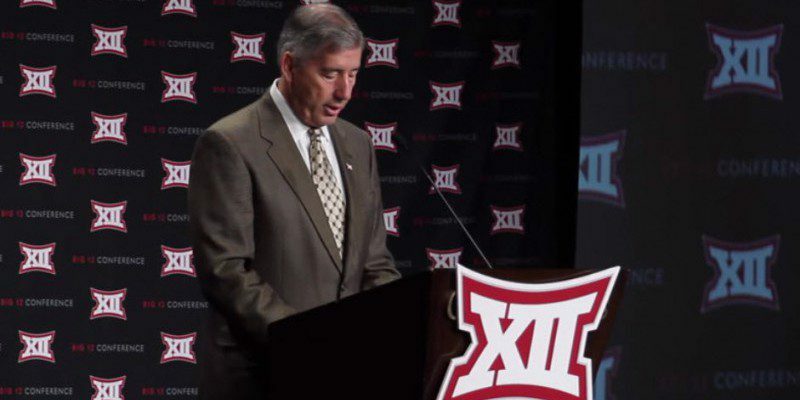 Big 12 Commissioner Bob Bowlsby wishes someone would have told him ahead of time that his conference would be punished for not having a championship game. It’s a sad fact of life: Some things you just have to figure out for yourself, and that one shouldn’t have been too difficult. The truth is, the Big 12 tried to game the system from the start, and in the end nobody bought it. But when it comes to problems in the Big 12, no championship game is just the tip of the iceberg. The big problems of the Big 12 and how they could impact the Pac-12 are the subjects of this week’s Three-and-Out. 1. Gaming the System. The Big 12’s problems did not begin with the failure to have a championship game, but with a pedestrian showing in nonconference games. The conference did go 22-8 against nonconference foes, but the record against Power 5 opponents was a ho-hum 4-6, and its “signature” win was TCU over Minnesota. While Minnesota did squeak in at No. 25 in the final Playoff Committee’s Poll, it finished out of the money in the AP and Coaches Polls. Meanwhile, the conference posted wins over the likes of SMU, Northwestern State, Toledo, Stephen F. Austin, Texas El Paso, Texas San Antonio, North Texas, Towson, Samford, SE Missouri State, Central Arkansas, Buffalo … you get the picture. The conference did little to help itself with its scheduling of nonconference games, and when Big 12 teams did play tough nonconference teams — No. 25 Minnesota aside — they lost. 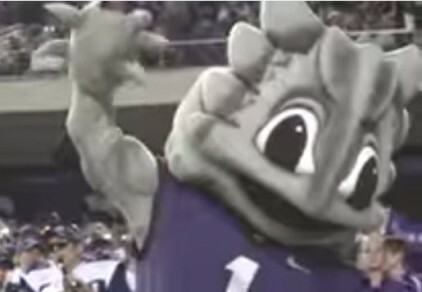 The Horned Frogs’ stomping of Iowa State (2-10) instead of winning a championship game didn’t impress the judges. Still, with that 22-8 nonconference record, the Big 12 tried to sell itself as powerful and deep – and the only conference where each team had to play every single one of the many “tough” teams in the league. But somehow the committee didn’t buy the Big 12’s idea that the ninth conference game against 3-9 Kansas or 2-10 Iowa State carried quite the weight as winning a conference championship game. Somebody should have told the Big 12. The final straw in gaming the system, though, came when the conference declared Baylor and TCU as co-champions, a transparent attempt to get two teams into the final four. If two out of four of Alabama, Oregon, Ohio State and Florida State hadn’t taken care of business in their championship games, it just might have worked. But of course, all but Florida State absolutely dominated, and Florida State was undefeated. With no marquee nonconference win and no championship game, the Big 12 didn’t stand a chance. 2. Instability. The bigger problem behind the Big 12 is that it has all the instability of a teenage romance, which it just happens to be. The ACC and the Pac-12 are over 50 years old. The SEC just turned 82 and the B1G is a ripe old 118. The Big 12 just turned 18, a full century younger than the B1G. While the other conferences are happily married and adopting new family members from time to time, the Big 12 is still dating. Its relationship didn’t start until 1996, when what was left of the Southwest Conference and what was left of the Big 8 got together. Colorado left the Big 12 to chase a dream. Since then, charter members Colorado, Nebraska, Missouri and Texas A & M have all split for more stable ground. And it was only a few years ago that the entire relationship threatened to blow up when four members, including flagships Texas and Oklahoma, flirted with joining what at the time was the Pac-10. The mass bolt to the Pac didn’t happen, and TCU and West Virginia took up half the slack left by the departure of the four charter members, bringing the numerically-challenged conference back up to ten schools. But ten members is not enough, as NCAA rules require twelve members to have a conference championship game. And — it seems — that, along with beating anybody who is anybody in nonconference games, is important in getting a team into the final four. 3. Solutions to the Big 12’s Big Problems. 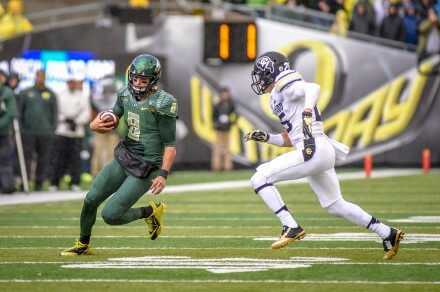 Solutions could impact the Pac-12 in a number of ways. The obvious answer for the Big 12 is to add two teams and have a championship game. This could lead to an overlapping of Pac-12 and Big 12 territory, because the idea of coming west and picking up Boise State and BYU has been mentioned. But stretching a conference geographically from Idaho to West Virginia doesn’t necessarily make a lot of sense. Cincinnati and Houston are more logical choices geographically, and no doubt would add more television sets to the conference’s viewing area. 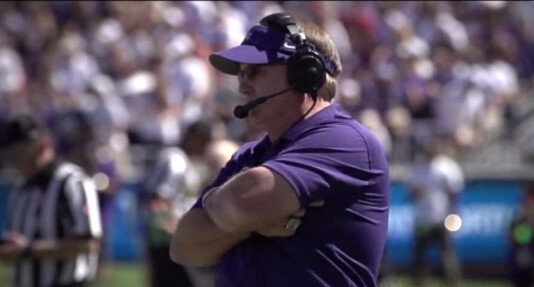 TCU’s Gary Patterson — not happy about being left out. The conference might also consider asking its member teams to trade in a few Conference USA and Division I-AA games for, say, some of those Pac-12 games like Kansas State backed out of a few years ago when it de-scheduled Oregon. So in the future, the Pac-12 may see more games with Big 12 schools and fewer I-AA clashes, which would make for some better early season games. A third possibility is that the conference may break up as it nearly did a few years ago, with the stronger members joining the four senior conferences and the others having to settle for mid-major status. It would not take too many years of being snubbed for a berth in the final four to cause those members with high ambitions to bolt, given the opportunity. If this happens, we will have four super conferences. Four super conferences for four playoff spots — what a novel idea. Pressure would be brought upon the Pac-12 to expand, either by taking in Big 12 members, or by considering the addition of at least four more western schools. The choices of western schools are fairly limited. BYU, Boise State, Fresno State and San Diego State probably all have the base to make the jump in football, but of course there are other considerations: travel convenience and cost, other sports, academics, and how many television sets a community can add to the overall package. But taking in current Big-12 schools would certainly stretch the “Pacific” element of the Pacific-(insert number here) Conference. There’s not a lot of rain that falls on Oklahoma and Texas (or Boulder, Colorado for that matter) that makes its way to the Pacific Ocean. At this point, the only certainty is the uncertainty. In the world of mating, the saying is “Two’s company, three’s a crowd.” In the case of the football playoff, it’s “Four’s company, five’s a crowd.” Neither is a recipe for long-term success.